What will European landscapes look like in 2040? Where will we live and work, and how will we balance the need to protect nature with the increased demands for urban space, agriculture and forestry? This is precisely the type of strategic questions that the EU-funded VOLANTE project sought to address over the past five years. Researchers from the University of Copenhagen’s Department of Geosciences and Natural Resource Management participated in the VOLANTE project together with 13 other European research institutions. Together, they analysed change across European landscapes. The results are being used to identify ways to achieve sustainable land use in the future. One of the project’s key results is that, generally, European landscapes are stable, and as a whole, only minor changes have occurred in recent decades. These changes have often been the result of intensified land use, in relation to increases in fertiliser use or irrigated area. In other, less common instances, changes to the landscape have resulted from a transition from one type of land use to another, from forest to agriculture, for example. Meanwhile, the agricultural sector has experienced a decline by 5 million hectares between 2000 -2007 in the amount of land used– a 3% reduction. It is of interest to note that this decrease was offset by the increase of the EU’s global “footprint” during the same period of time. The footprint refers to the amount of area used in other countries to produce crops that are then sold onward to Europe. At the regional level, the research group was able to identify two ”hotspots”: more intensive land use in areas with greater cultivation potential in Western Europe versus more extensive land use in marginal areas. The marginal areas in this context correspond to drought stricken areas, mountains or regions with greater socio-economic challenges, such as the previously socialist countries of Eastern Europe. The large quantities of data and results have been used to prepare a “Roadmap” for the future planning and sustainable use of European landscapes. The Roadmap’s strength is that it demonstrates the consequences of various scenarios for the way forward. For example, it can show what an increased prioritisation of European food self-sufficiency, or the opposite – increased intercontinental trade - will mean for European agricultural and nature areas. 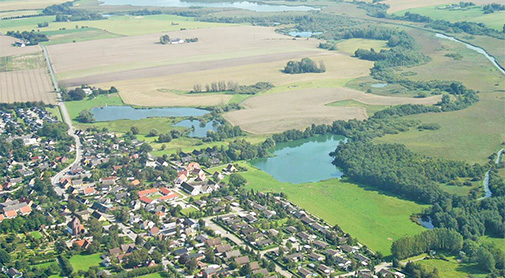 Parallel to the researchers’ scenarios, a selection of experts and politicians, who represented key interest groups (agriculture, consumers, planners), has identified three visions for the future landscape map of Europe as a set of ”guiding principles” for the physical planning of the future. In the project’s final phase, the two research approaches merged in order to see how the knowledge of researchers, as portrayed in the various scenarios, matched with the trio of future visions spelled out by the experts and politicians. This represents yet another new and exciting dimension in research project design, one in which numerous types of knowledge and experience are brought together and interact. One central message is that there are many politicians and sectors that have an influence over future landscapes, even though they may not be directly involved in the regulation or planning of land management. Furthermore, there is a large difference in the way that politicians implement policies EU across Europe. Thus, there is a need to conduct a ”spatial check” of EU legislation and implementation, so as to ensure that unintended consequences are avoided. 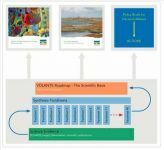 The knowledge compiled for the VOLANTE project was generated from many sources – from analyses of historical land use data, to questionnaire surveys of farmers, to satellite imagery analyses and the modelling of various development scenarios. Participants based at the Department of Geosciences and Natural Resource Management were: Associate Professor Søren Kristensen, Professor Anette Reenberg, Associate Professor Anne Gravsholt Busck, Associate Professor Martin Rudbeck Jepsen, PhD Ann-Sofie Richardt, Postdoc Jens Peter Vesterager.